Make sure everyone in the family knows how to swim. Swim where there’s a lifeguard, and don’t swim alone. When swimming in the ocean, avoid getting into water that is more than waist-deep. 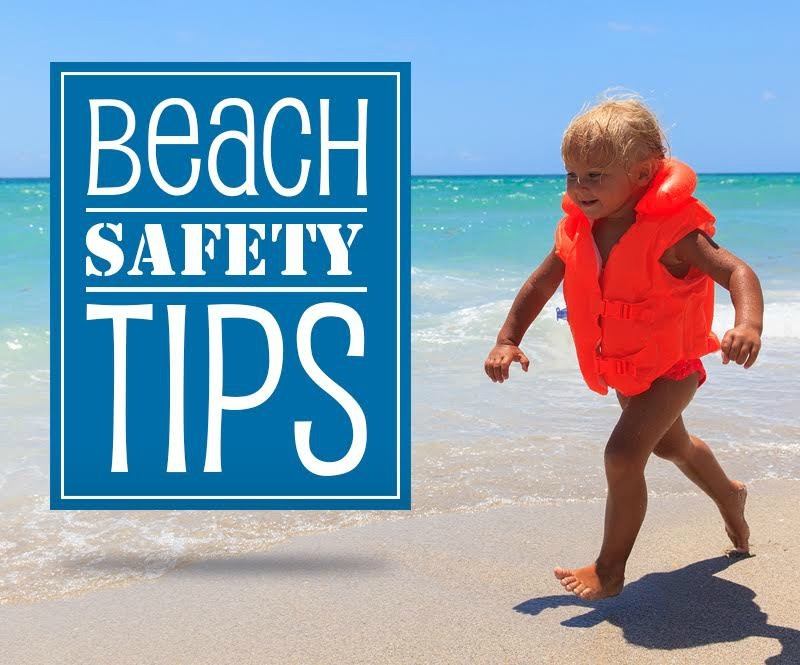 Young and/or inexperienced swimmers should wear U. S. Coast Guard-approved life jackets. If you’re planning on going boating, canoeing, kayaking, or paddle boarding, the Coast Guard requires you to have a life jacket for each person on board, even if they are all swimmers. If you get caught in a rip current, go with the flow. A rip current is a narrow current of water moving in the offshore direction. It doesn’t actually pull you under, but it can pull you out to sea. Just stay calm and don’t try to swim against it. Instead, swim sideways (parallel to the beach) until you’re free of the current, then use the waves to help carry you back to the beach. Depending on its severity, you may be able to spot a rip current from the beach. They are typically marked by narrow, muddy streaks where there are no waves breaking. And it’s a good idea to avoid swimming near piers and jetties, because there are often permanent strong currents around these structures. Green means conditions are calm and hazards are low. Yellow means waves are moderately high and there could be unexpected currents, so be cautious when swimming. A purple flag is a warning that there could be harmful marine life in the water – usually jellyfish. 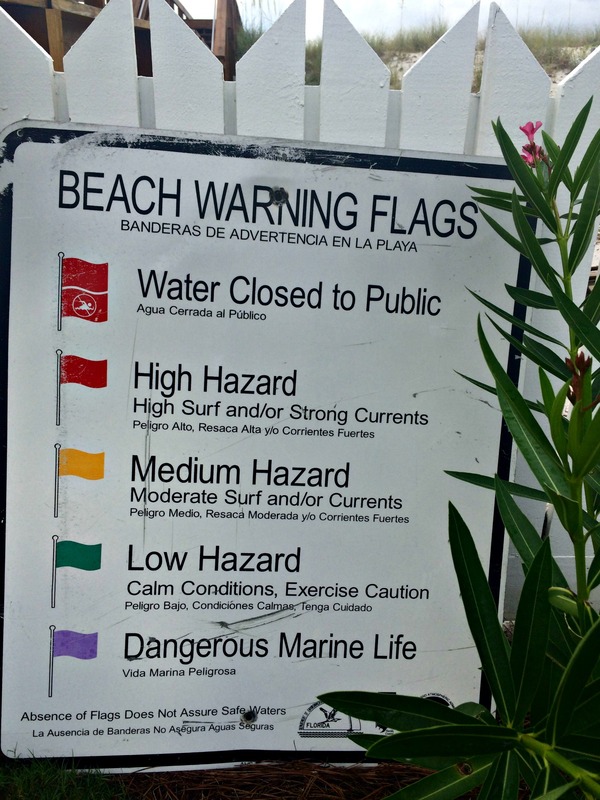 Red flags signal that there are high waves, strong surf, and associated currents that should be navigated only by experienced swimmers. When double red flags are flying, the waters are dangerous and closed to the public. Do not go in. It sounds like a no-brainer, but be careful not to get too much sun. You can get sunburned and dehydrated before you realize it at the beach. 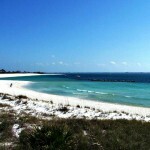 The white sands make the problem worse because they reflect the rays. Drink plenty of fluids, but save the alcohol for later, when the sun goes down. Wear sunscreen (SPF 30 is optimal), and reapply it often, especially after swimming. Keep in mind that your eyes can get sunburned, too. You should bring along and wear your UV-certified shades. An umbrella and protective clothing are helpful as well. Pay attention to where you are when you go into the water. It’s easy to go for a swim and end up blocks away from where you started. Pick a landmark and keep it in sight while swimming. Sudden thunderstorms are common at the beach, especially on spring and summer afternoons. When you hear thunder, get out of the water immediately and take cover indoors. Keep in mind that lightening can strike miles away from the actual storm. The good news is that these storms rarely last long. The most common threats are jellyfish. Their stings are painful, but not usually serious. Just rinse with salt water and apply vinegar or a paste of baking soda and salt water. In spite of what you hear on the news, shark attacks are rare. However, it’s best to avoid swimming at dawn or dusk, and when the water is churned up and cloudy. Avoiding water that is more than waist-deep can be an added safeguard against sharks. We Can Help You Find the Perfect Place To Stay! We can’t think of a better start to a memorable vacation than with the perfect place to stay. 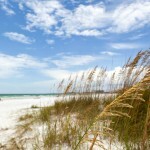 Check our website for a great selection of beach vacation rentals, both on and near the beach. 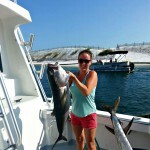 And be sure to sign up for our Gulf Coast Vacation Deals e-newsletter. 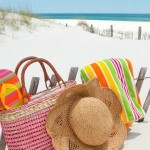 We’ll send you all the latest and best beach vacation deals plus news about upcoming events on the Gulf Coast.